Ecocement was a highly ambitious project that involved the thorough scientific evaluation of a new environmentally benign product, which could replace Old Portland Cement (OPC) in the construction industry. The project ran from 2012 to 2015 and is still active for Neapolis University in Cyprus (NUP) as there are several publications on the project that are still pending. The project brought together scientific institutions like the CNR-ICVBC and IFAM Fraunhofer, large construction companies like Grupo Essentium, and SMEs like Solintel and DWEcoCO, along with NUP in an attempt to find a substitute for one of the most detrimental man-made products on earth. Cement is the second most consumed substance on earth after water, and its manufacturing process accounts of 5% of the CO2 emissions worldwide. The G7 goal is to reduce the world-wide average of CO2 emissions per person to 2 tons per year. Finding an alternative source for cement could help the western world achieve this goal. On the contrary ECO-CEMENT is a composite material of bacteria, urea, calcium carbonate, cement kiln dust, a hydraulic agent, rice husk ask, and sand. It utilizes waste products of numerous industries such as the cement manufacturing industry, the dairy industry, the poultry growing industry, making it an overall environmentally desired product. The manufacturing process involves the precipitation of calcite (calcium carbonate) through the action of ureolytic bacteria. Ureases are a class of enzymes that catalyze the hydrolysis of urea to produce ammonia and carbon dioxide and are found in numerous bacteria, plants and soils. Upon generation, carbonate anions can precipitate if the medium provides an excess of calcium cations. Calcium carbonate precipitates in the form of highly crystalline calcite, which binds on aggregate networks and increases strength. Our partners devoted extensive time and resources in order to identify the optimum source for calcium cations, the optimum source for bacteria using enzyme concentration and calcite precipitation as criteria along with the identification of the optimum protein source on which the bacteria would “feed.” In addition, another partner did a thorough Life Cycle Impact Assessment and the Environmental Impact results of the final product, along with a Market and Impact analysis of all Ecocement products (tiles, plaster, mortar and dried biopack). It was conclusively shown that ECO-CEMENT has the potential to make this industry more sustainable and contribute to improve competitiveness in the sector: alternative production for cement with a very low environmental impact. NUP’s contribution involved the comprehensive study of optimizing the ingredient parameters of Eco-cement using the mechanical properties of the end product as criterion. 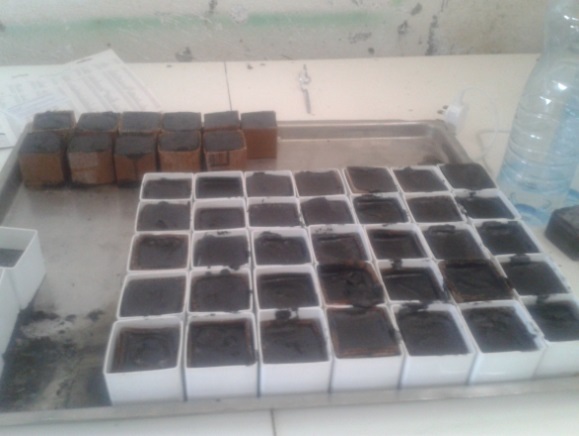 Numerous samples were prepared and allowed to cure under conditions of controlled humidity and temperature for 28 days according the European Standards that govern the production of such materials. Unconfined compression crush tests were performed using a deformation control compressive strength machine. 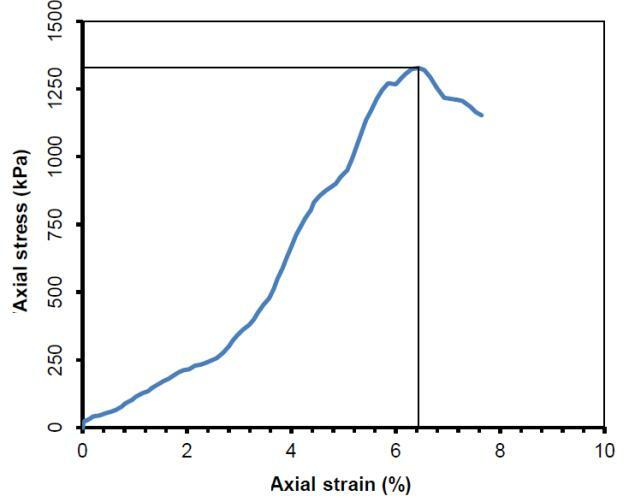 The strength and strains were evaluated from the initial zero load step until failure of each specimen. Detailed analysis of the data obtained revealed that the identification of the optimal recipe is not as straightforward as presumed due to the behavior of the enzyme under the reaction conditions. Furthermore, the results suggested that in order to reach a desired product that will have similar mechanical properties as OPC we need to evaluate additional enhancement methodology as the current strengths are comparatively low. The program is funded by the European Commission and the total amount of the budget is 2.2 million Euro. The participation of Neapolis University is €275,200 where €176,400 are provided by EU funding. Researchers: Dr Natia R. Anastasi, Dr Nikolaos P. Bakas and Dr Julia Georgi ( worked on program 2012-2013).